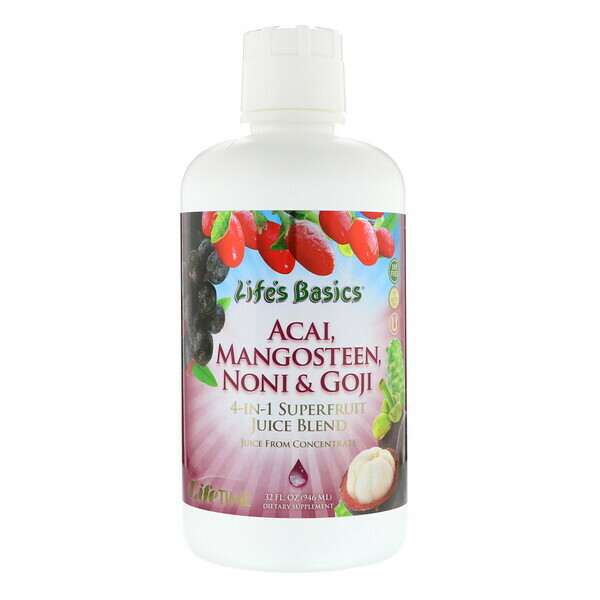 Life's Basics 4-In-1 Superfruit Juice Blend combines Acai, Mangosteen, Noni and Goji whole fruit juices. Acai, originally from the Brazilian wild palmberry tree was used by natives for thousands of years for its nutritional antioxidant properties. 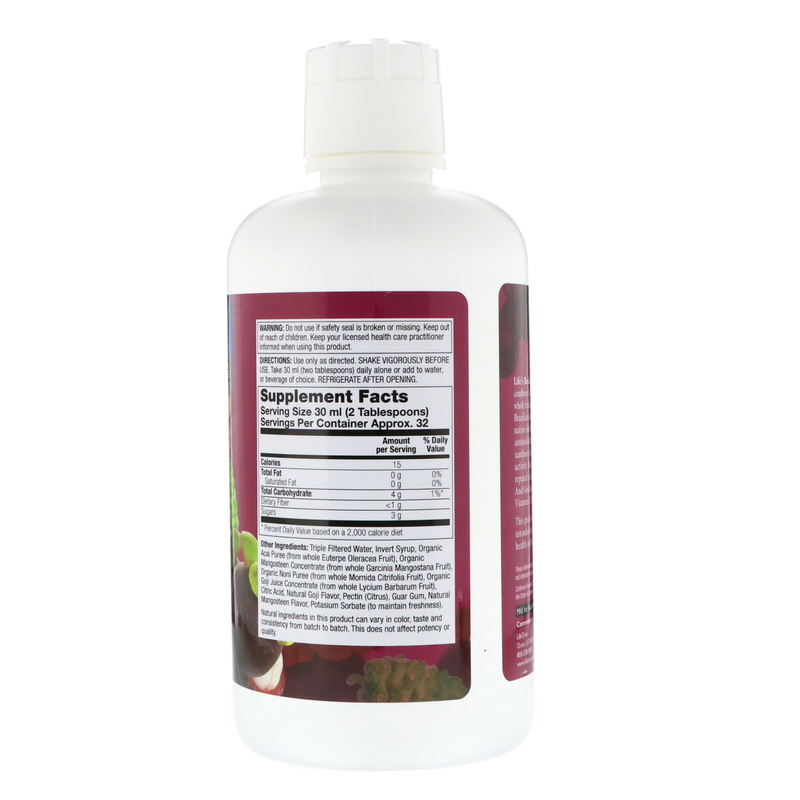 Mangosteen, contains xanthones known to also have a powerful antioxidant activity. Noni, a coveted fruit from Hawaii is reputed to have naturally-occurring antioxidants. And Goji, has naturally-occurring trace amounts of Vitamin C, Beta carotene, Lutein and Zeaxanthin. This great-tasting 4-In-1 superfruit juice blend is intended to provide nutritive support for overall health and well-being. Use only as directed. Shake vigorously before use. Take 30 ml (two tablespoons) daily alone or add to water, or beverage of choice. Refrigerate after opening. Triple filtered water, invert syrup, organic acai puree (from whole euterpe oleracea fruit), organic manogsteen concentrate (from whole garcinia mangostana fruit), organic noni puree (from whole mornida citrifolia fruit), organic goji juice concentrate (from whole lycium barbarum fruit), citric acid, natural goji flavor, pectin (citrus), guar gum, natural mangosteen flavor, potassium sorbate (to maintain freshness). Natural ingredients in this product can vary in color, taste and consistency from batch to batch. This does not affect potency or quality.